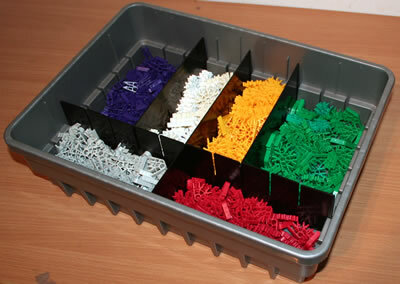 Many sets include both Micro K'NEX and classic K'NEX parts. 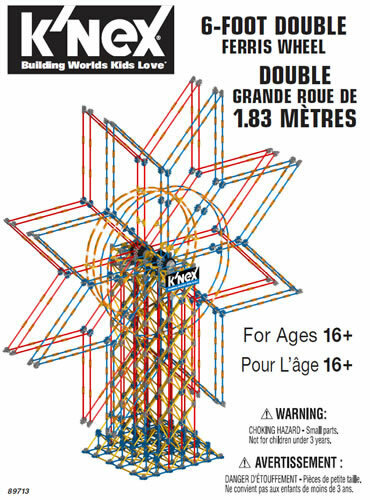 Where they need to be joined together, this is usually achieved via a "Transition rod", which connects any Micro K'NEX connector to any classic K'NEX connector. The photo shows the two standard lengths of transition rod, though colours may vary. 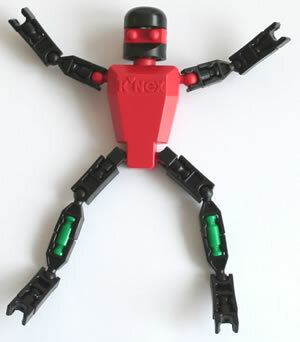 An alternative method is to use a "Reducer clip", which joins any Micro K'NEX rod to any classic K'NEX rod.